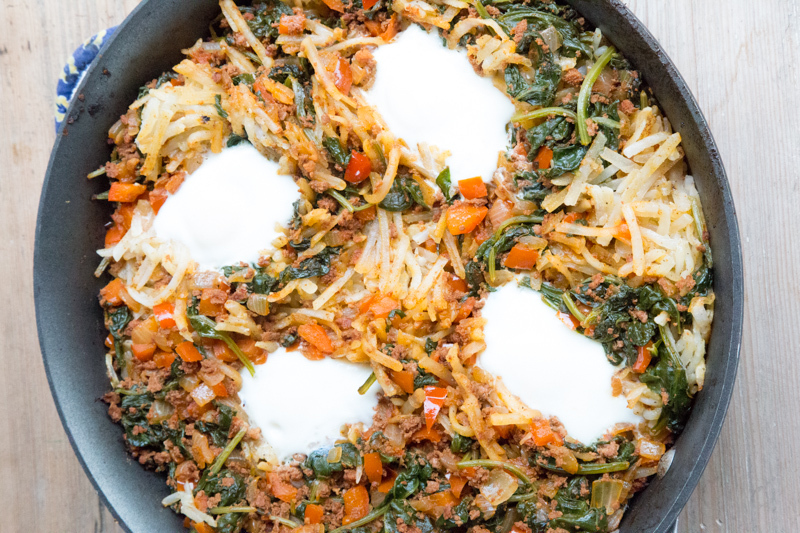 I’ve got an amazing, quick and super delicious skillet dinner for you tonight! This really a “brinner” as it’s more of a breakfast meal than a dinner meal…so we’ll call it a brinner. 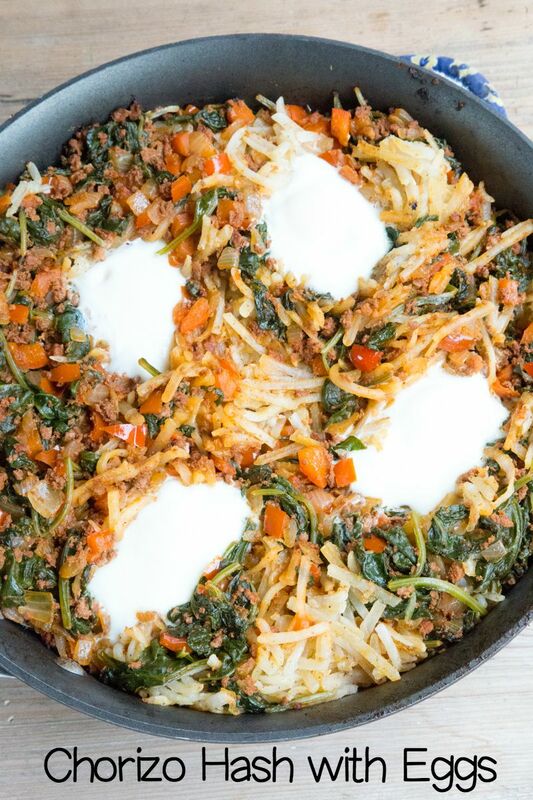 Brinner is generally quick and this one is colorful, flavorful, packed with protein and veggies. You can serve it as is, or with some ripe, fresh fruit. That’s it…dinner on the table in less than 31 Minutes? If you’re interested in getting your hands on a meal plan that consists of all 30-Minute Dinners, you’ve got to read more. This just might be what you need to survive the busy afternoons once school starts back up this month! In a large skillet, brown the chorizo sausage with the onion and bell pepper. Add the spinach and saute until it wilts, stirring often. Once the sausage is cooked and the spinach wilted, slide the mixture into a large serving bowl and set aside. Add the olive oil and hash brown potatoes to the same skillet and cook for 8 minutes, or until begin to brown. Stir the sausage mixture back in with the potatoes, and then make 4 small wells for the eggs. Crack 1 egg into each well and cover the skillet. Let cook for 3-4 minutes, or until eggs and cooked through to your liking. Add salt and pepper to taste. Serve Chorizo Potato Hash with fresh fruit. Note: You could absolutely use just 1 – 20 oz. bag and there will be plenty for 4 servings. If you have a large enough skillet, you could use 2 – 20 oz. bags. I ended up using about 1 ½ bags.